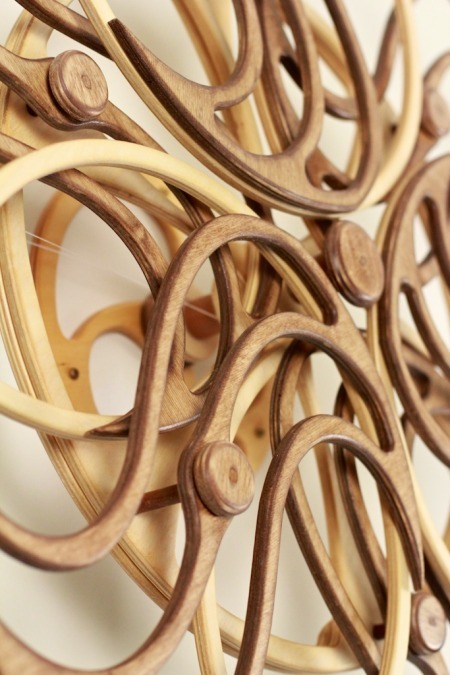 I love designing Variation type patterning wheels, I find it both challenging and rewarding. 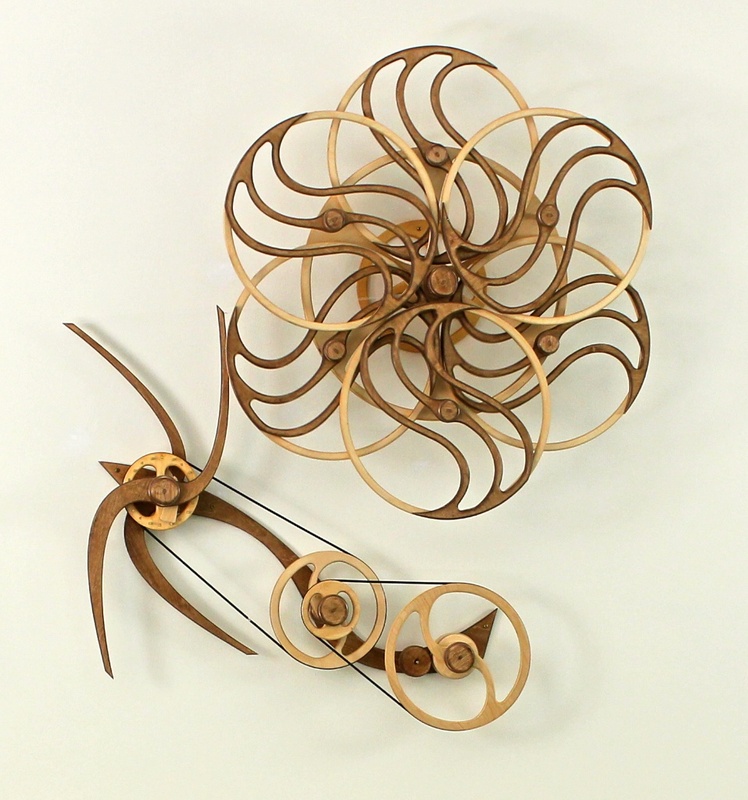 Between 2003 and 2008 I designed nine different Variation sculptures. I brought the series to a close, not because I'd run out of ideas for patterns, but because it was time for new challenges. I promised myself that I wouldn't do another Variation type piece unless I had a new mechanism or some other compelling idea. It's about 5 years later and during that time I've designed and built a number of new sculptures and learned a great deal. On the mechanical side, I've developed new techniques for building more efficient sculptures. This has been a never-ending quest of mine since I made my first sculpture in 1976 and it ran for 20 minutes. I've also worked to simplify my designs so that the complexity is in the patterns created not the mechanism that creates it. Variation II Wave is the result of applying what I've learned mechanically to the Variation concept. The mechanism is a single spring drive that delivers about 15 hours of run time. Part of the efficiency is due to a better use of bearings and part to how the mechanism itself is balanced. I started working on ideas for new Variation type patterns over a year ago. I shared some animations in July of 2012. I didn't expect it to take quite this long but many prototypes later, Design A became Variation II Wave. The first prototype was very much like the animated version but it didn't excite me. There was a disconnect between the animation and reality. This happens. I'm quite persistent when a design idea fails, changing it but rarely giving it up. Many drawings, animations and prototypes later the Wave design evolved. I've learned through the years that the sculptures I am most challenged by are among my favorites. Wave is no exception.